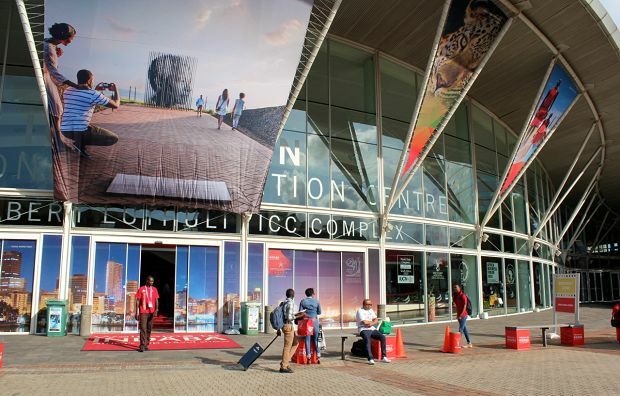 Ladies and gentlemen, it is my great pleasure to welcome you to the 37th edition of INDABA, Africa’s biggest travel show hosted by the beautiful City of Durban. As always, eThekwini is such a welcoming city- known not only for its breath taking sea views but its warm people as well. We have a destination that is abundant in natural beauty, and diverse heritage and culture. 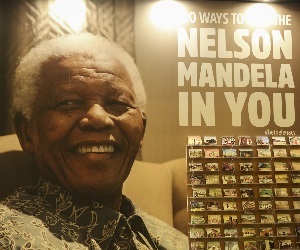 Our products and services range from mainstream tourist attractions such as the 120 World Heritage Sites in Africa, to our excellent business tourism and conferencing facilities, and the more niche products such as adventure tourism, culture and heritage tourism and social tourism. There should be no reason for our people to explore opportunities and make a living from this vast offering of a destination. 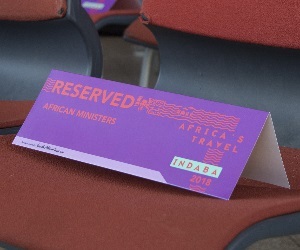 What you see here at the INDABA development zone ladies and gentlemen, is our way of illustrating the support and belief in tourism changing lives. Enterprise Development Online Information Portal. 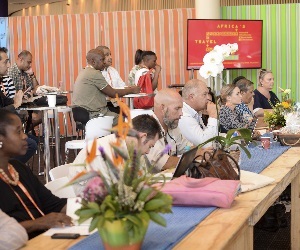 The purpose of the online information portal is to increase access to business related information and online tools by tourism SMMEs countrywide. The department’s IT Unit is leading the design of the portal. The negotiation with Business Partners to share information on SME Toolkit is underway and launch of the Portal is expected to take place in the first quarter. 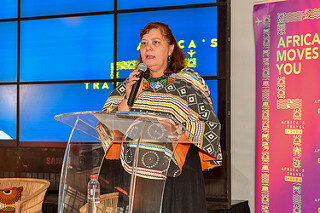 The portal will provide information in the following areas: Tourism Incentive Programme (TIP), service excellence, request for support, current tourism business news, e-learning tools, start-up advice, inline surveys, events calendar, compliance requirements, grading info, Lilizela awards campaign, profiling of success stories; and opportunities listing. 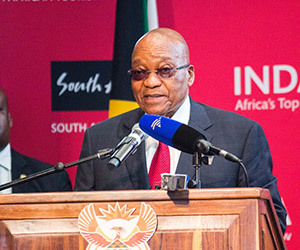 The department has expanded the number of service providers to seven which will allow for a wider reach and diverse expertise we can tap into for comprehensive support to SMMEs. 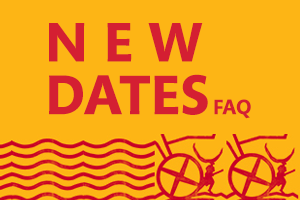 Sunday 9th MayPilanesberg in the Moses Kotane Local Municipality, North West Province to be launched in the second Quarter; and. Manyeleti in Bushbuckridge Local Municipality, Mpumalanga Province to be launched in the third Quarter. A stakeholder engagement roll out is underway starting in the North West Province where we have engaged Government and Community of the Pilanesberg cluster, and the private sector representative body TBCSA. 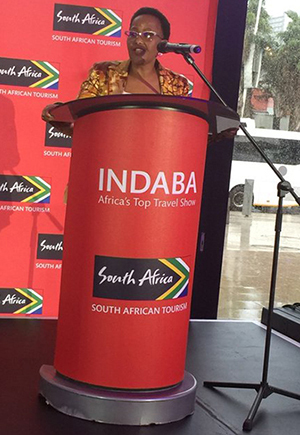 The Small Enterprise Development Agency (SEDA) will work with the department in the two pilot tourism incubators. 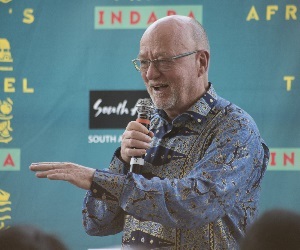 This initiative is a definite priority pillar underpinning South Africa’s 2030 vision. 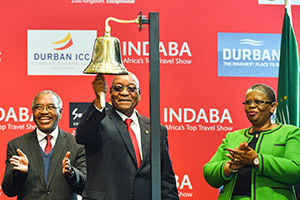 As we have witnessed with the recent economic climate, the growth in the tourism sector has been steady, silently churning in the background while the rest of the economy has been volatile. There is no surprise that it is one of the six key growth sectors in the New Growth Path, and its contribution to the GDP which measures 3.9% - more than most labour-intensive sectors. This growth is something to be encouraged and in any way we can support and invest in. 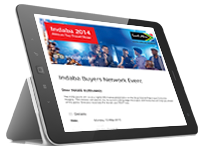 Again, another reason the development zone is at INDABA 2016. 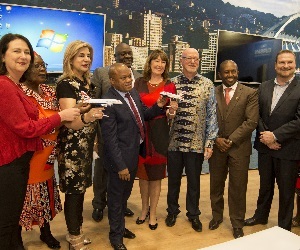 Without the support and the investment, there is no sustainability to speak of in the tourism sector. There is no inclusivity nor will we witness transformation. 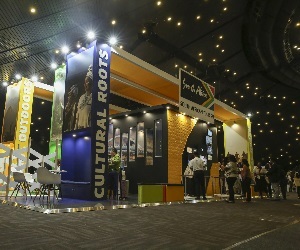 I am happy to have the 70 exhibiting SMMEs present with us at INDABA 2016, selected for their uniqueness and authentic representation of South Africa as a destination. 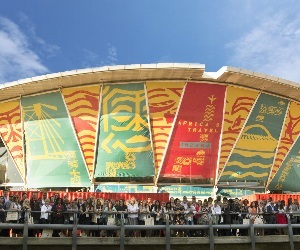 Of these, 20 focus on the adventure experience that the country offers. 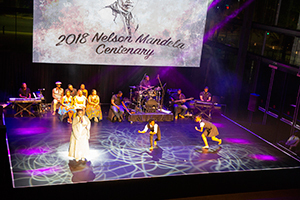 It is heartening that 14 of them include Lilizela Tourism Award winners, showing they have already won the heart of their guests through the quality service they provide. Congratulations to you all and I hope the development zone and the interaction you’ve had provided you with tools and knowledge on how to access the market and grow your businesses. 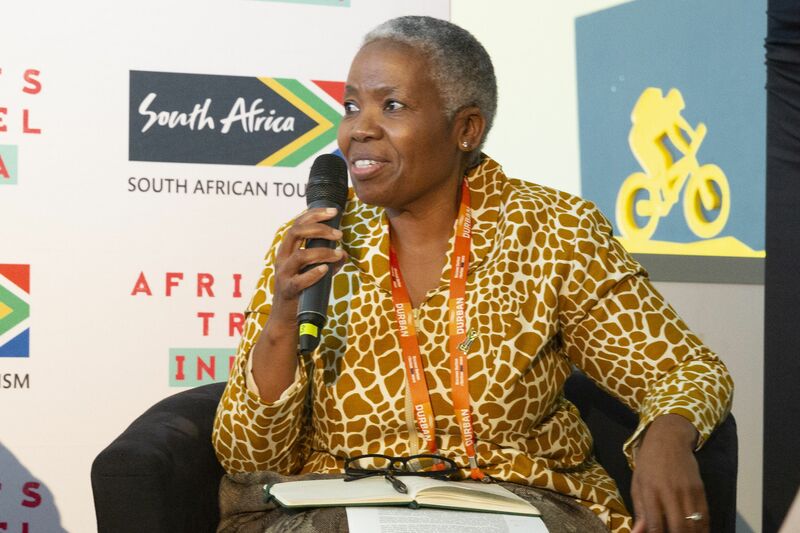 To SA Tourism in collaboration with the Tourism Enterprise Partnership (TEP), as well as the National Department of Tourism’s (NDT) Tourism Incentive Programme (TIP) who funded the development zone, thank you for living the vision. 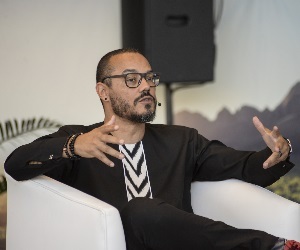 We understand the challenges and opportunities that exist in growing SMMEs in the sector and that is why we see the need to focus on building and developing this sector. 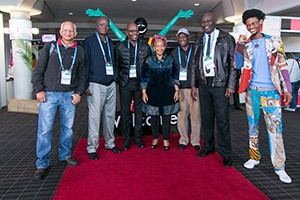 I hope you have had a fruitful INDABA and I wish you much deserved success in the future.